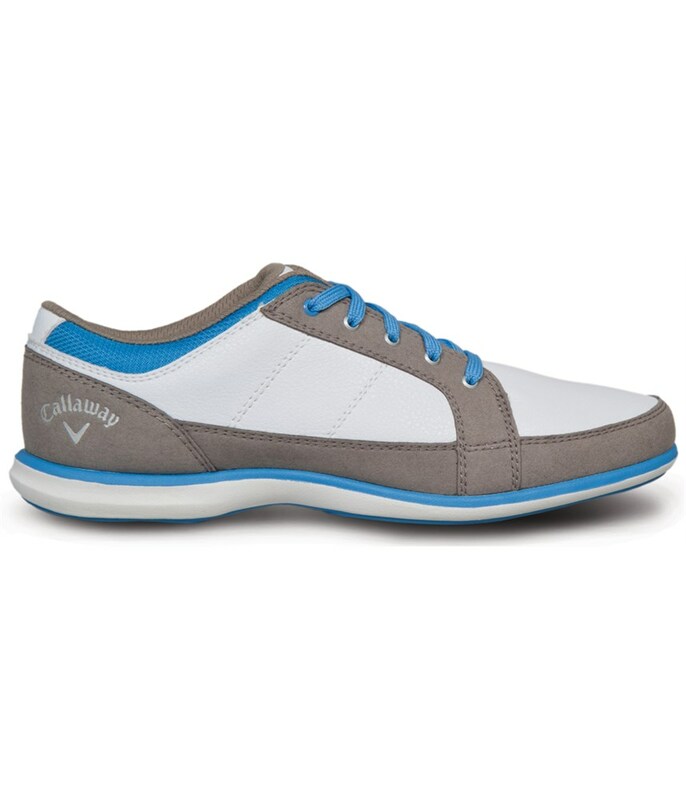 The Playa golf shoe is a casual Californian styled shoe that is both casual but has bold expressions. This is Callaway’s most adventurous shoe design with is coming in 3 styles. 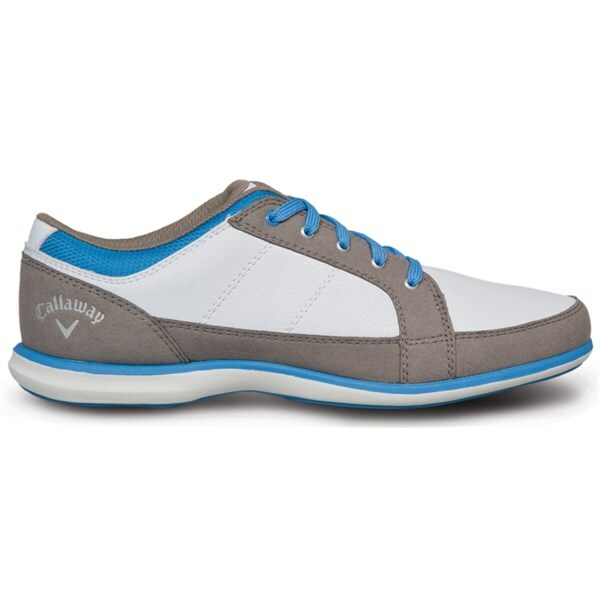 White Clarino soft upper with a blue trim and grey ETS comfort traction outer sole. 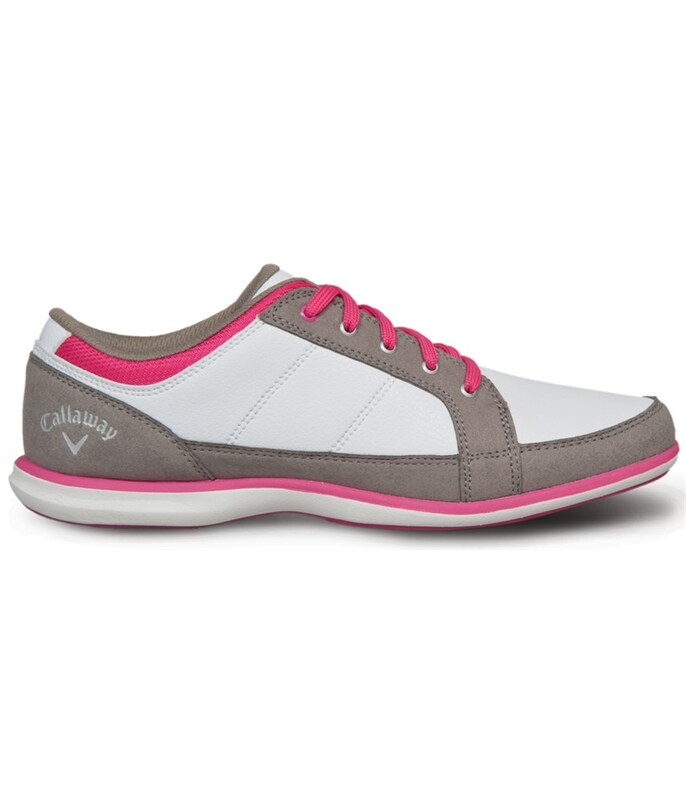 White Clarino soft upper with a pink trim and grey ETS comfort traction outer sole. Bold pink Clarino soft upper with a pink trim and Grey ETS comfort traction outer sole. Each shoes main colour theme carries over to the sole of the shoe to add that little touch of flair. All golf shoes come with an extra pair of laces to tailor to individual tastes. The sole of the shoe has ETS engineered traction spikes. This means it has a moulded stud pattern with 11 larger traditional style studs inbuilt for extra traction. The Callaway Sky Series Playa Ladies golf shoes come with a 1 year limited waterproof warranty and a 30 Day comfort guarantee. What is Callaway’s “Ortholite” Technology they put in all their golf shoes? This is one of the key aspect that makes Callaway golf shoes so comfortable. Its main features are its antimicrobial properties that kill fungi and bacteria that you find in shoes after use. This is good for the shoe, your socks your feet and your nose! One of the other key points of the “Ortholite” innersole is that it reduces moisture within the shoe. This is very useful if you play in either hot summer or wet climates. Please note - We recommend to buy half a size bigger than your usual shoe size for this particular product.